After the month we’ve had, when Valentine’s Day came around all we wanted to do was completely veg out and not see a single human being except each other all day! We also didn’t want to mess with our bodies in term of lots of sugar and wheat and cream… Health over treats! We strung lights (we are nuts for twinkle and kitschy lights! and even had time to read! Our new favorite lunch is garbanzo beans (chickpeas) roasted in a little olive oil (or bit of juice leftover from a curry chicken) with curry, cumin, salt and pepper. In season they are affordable! We ate dinner on trays watching movies… still in pjs! Especially curled up binging on Inspector Lewis! Da Vinci, Schminke, DS Primatek and Daniel Smith Watercolors. 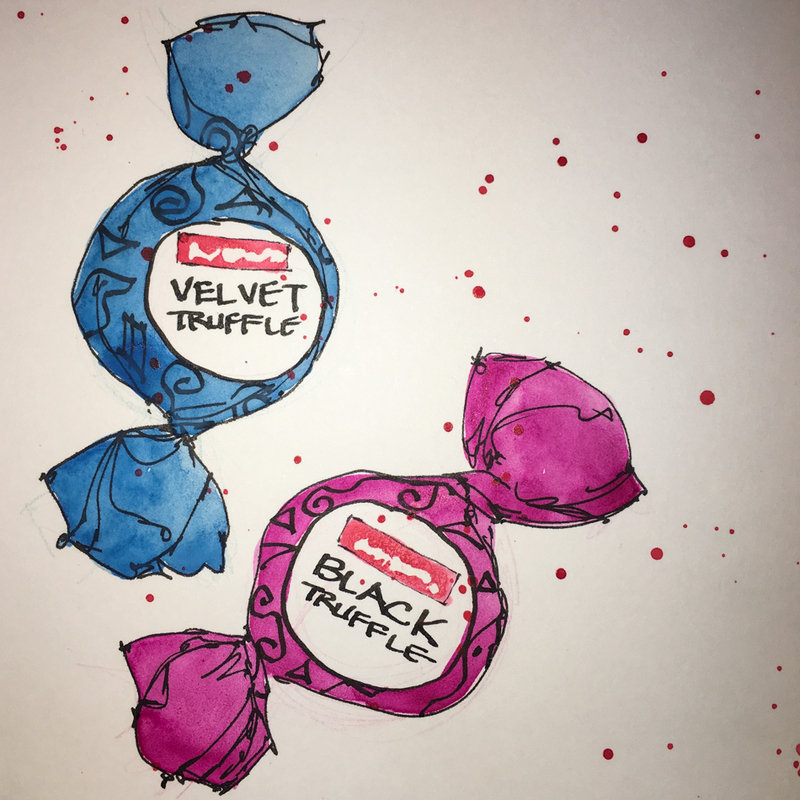 This entry was posted in art journal, creativity, drawing, ink painting, journal, painting, pen & ink, process, sketchbook, watercolor, writing and tagged #altereco, #crab, #Hahnemühle, #Lamy, #middleofthenight, #nostalgiejournal, #valentinesday, Alter Eco Truffles, art journal, Daniel Smith watercolors, De Atramentis Document ink, Fineline masking fluid, Lamy Joy, Nostalgie Sketch Book Journal, Platinum Carbon pen, Primatek, watercolor. Bookmark the permalink. You two are so darn cute! What a great day you had–and so well deserved. I loved reading this. It sounds like you had a wonderful day. 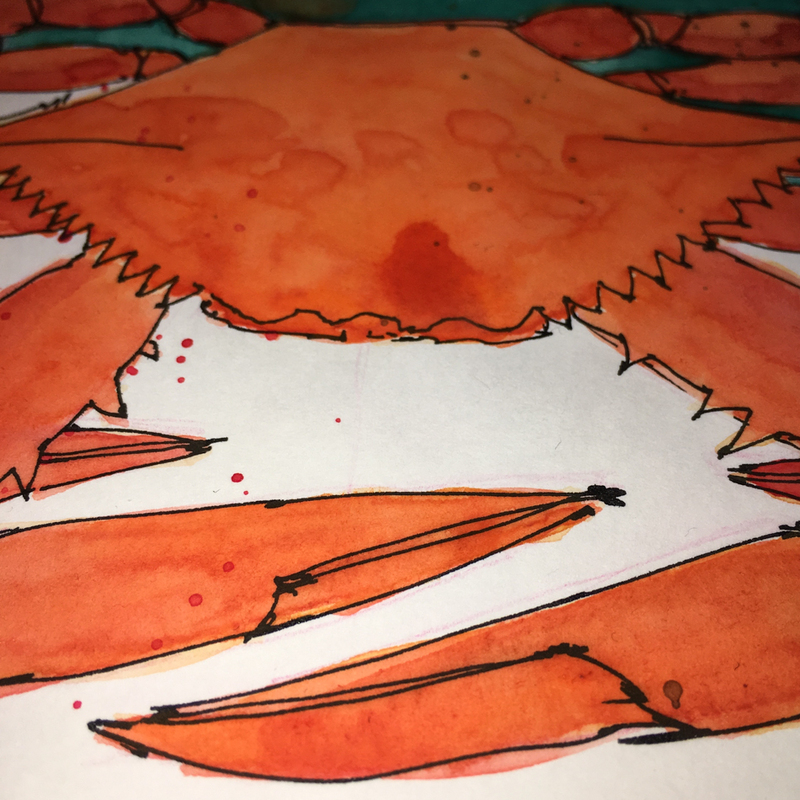 I love the texture of the crab that you’ve achieved with all the pigment blooms. 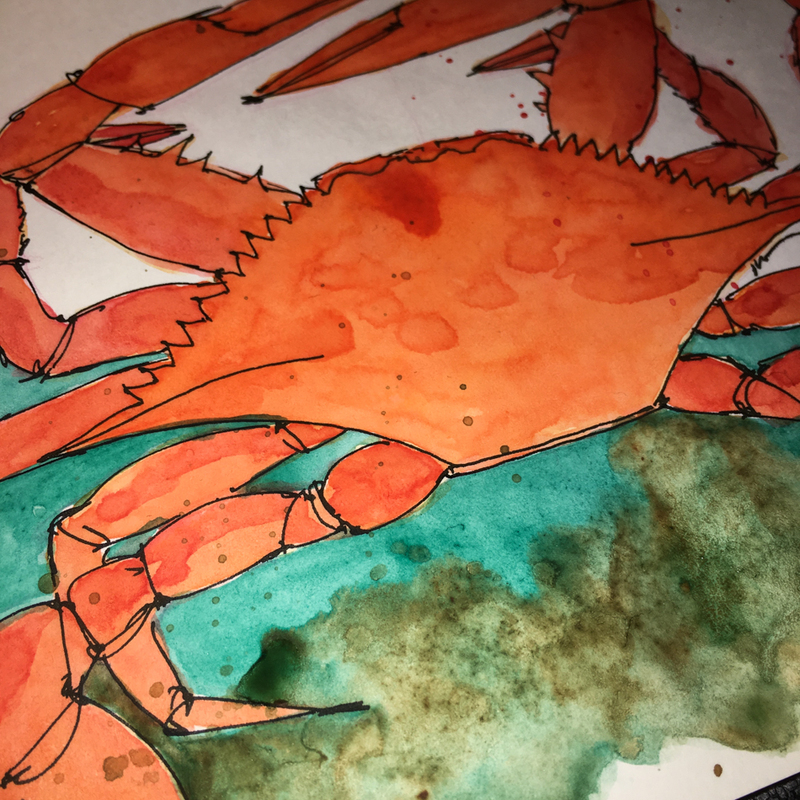 Your crab painting and the candies…so delightful!